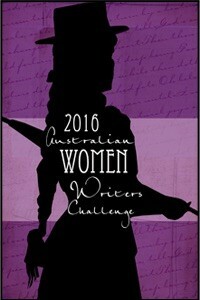 For this month’s Crimes of the Century read I dived into little-known Australian author Pat Flower’s 1975 novel VANISHING POINT which means the book also counts towards my Australian Women Writers Challenge obligations. 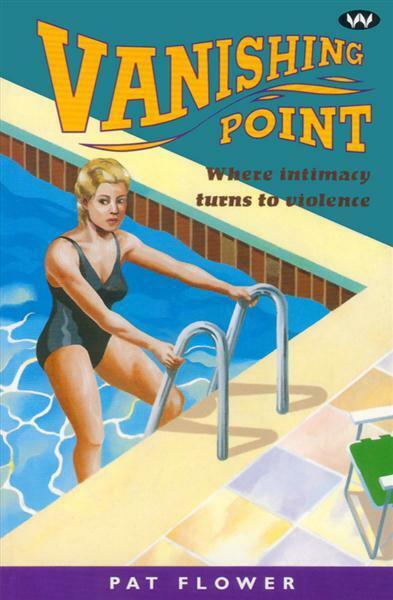 The edition of VANISHING POINT I read was published in the 1990’s as the first of a local publisher’s series of publications aiming to breathe new life into forgotten Australian crime stories. A noble aim indeed (and many of the later instalments are wonderful reads) but I’m finding it hard to believe it set the series off with a bang. If I had to describe the book in a single word it would be languid, which doesn’t sit well with the blurb’s claims of it being a ‘claustrophobic thriller’. Claustrophobic yes; thrilling not so much. The book’s structure appears to take shape from its author’s other life as a stage and screen writer, having three distinct acts. In the first act Sydney couple Geraldine and Noel take a driving and camping holiday to Far North Queensland with some acquaintances. The trip is not a success. In the second act the pair are back in Sydney and attempting to get life back to normal. The final act returns us all to the monotony of driving and camping in the humid north. There are less than a handful of dramatic incidents in all three acts combined. This doesn’t make the book terrible – as a portrait of one human’s madness it’s quite exquisite – but it is a bit slow and I can’t imagine it would attract a wide audience. VANISHING POINT is less a story and more a study of Geraldine’s seriously skewed inner life. Geraldine doesn’t really do anything. She doesn’t work, she has no kids, she doesn’t belong to groups or do charity work or have any friends. At home she lies by the pool all day – not even a book in her hand – and on the camping trips she sits and stares and thinks and keeps herself as distant as possible from her travelling companions. The only thing she actively does is obsess, mostly about her husband. She wants always to be near him, if not touching him then with him. She has a jealous hatred of anyone else who spends time with him – business partner, friend, possible lover – and she smothers him. Of course she doesn’t see it as smothering but even through the lens of Geraldine’s view of the world – hardly an unbiased one – we can see that Noel is suffering. Geraldine is disdainful of almost everyone else she comes across. She can barely remember people’s names they are so insignificant. Even the numerous men she assumes to be in love with her have a sort of shimmering, semi-transparent quality to them. …Why murder? I’m absorbed in character, not in murder. In ordinary people a bit round the bend. I like to follow the effects on my characters of heredity, environment and circumstance, and reveal in action, reaction and interaction the instability which might in real life go unnoticed but in my books is fatal. For my crackpots murder is the only way out. And in VANISHING POINT she does exactly this. Well almost. I’d have liked to know a little more about Geraldine’s past…to glean some more about why her psyche was so damaged. There is a hint of it (don’t blink, you’ll miss it) but it doesn’t explain everything. Although perhaps that’s the point? Sometimes people are just ‘crackpots’ and there really isn’t a rational explanation for their behaviour? However true that may be it’s not a notion that I’m comfortable with which perhaps explains why I struggled with the book in parts. My fault not the author’s then. Because the book is so much about Geraldine’s inner life there really isn’t much to set it in 1975 versus any other time in history. There’s no hint of the tumultuous 70’s taking place outside Geraldine’s head (one character wearing a kaftan is the only concrete reference to the decade I noticed). The only thought that struck me was that, being a book about an obsessive, controlling woman who poses a danger to her domestic partner, the book might struggle to get published today? I don’t know this to be true of course, it’s just a thought, but it seems to me that these days stories about obsession and control have to put the male in the dangerous role. Has that particular pendulum swung irreversibly? VANISHING POINT is well written and does exactly what the author set out to do. I found it a bit slow going but admit that’s likely down to my liking for more of a balance between action and introspection. And my discomfort over the novel’s premise – that sometimes irrational, horrendous behaviour might have no explanation – can’t really be considered a criticism of the book. This is book 17.5 that I’ve read and reviewed for the fifth Australian Women Writers Challenge (one book was written by a father daughter team so I’m only counting it as a half). For more information about the challenge check out my challenge progress, sign up yourself or browse the Challenge’s database of reviews.